I am so excited to introduce you this week to Ming Wang Designs…where I have discovered a new level of style, comfort, quality, longevity and fun for my over 60 life. Since the New Year, I have spent great reflection on my style at my current stage of life. I work two jobs…a more professional managerial job in the day, and as an influencer the rest of the time. Since, I am in the creative industry, I can back off of the more strident, neutral, suit type of dress many professional careers require. In fact, one of my goals for the warmer weather coming up is to find more outfits without jackets and toppers. With that in mind, and, in regards to, my style, I desire my clothing choices to say: I choose confidence, excellence, and joy! 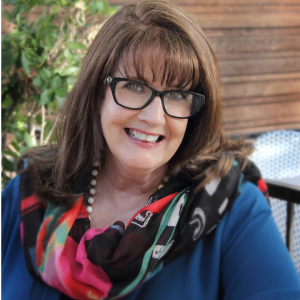 Sure, I will probably retire someday…though I do not currently see that day ahead, but no matter what my retired life looks like, I want to be confident in everything I wear. The fit and quality of Ming Wang fashions is impeccable and gives me great confidence in how I look wearing them. I can see them going to a meeting or going out to lunch or going on a date with my husband and giving me great confidence as I go. Over 50, I have chosen excellence in all that I do and dressing either now or down the road will always be a part of that. The quality of the Ming Wang foundation pieces are worth every penny because they are timeless. They are “known for hassle-free care – clothing that is color-fast, fade-and wrinkle-resistant with most pieces being machine washable. Perfect for travel. 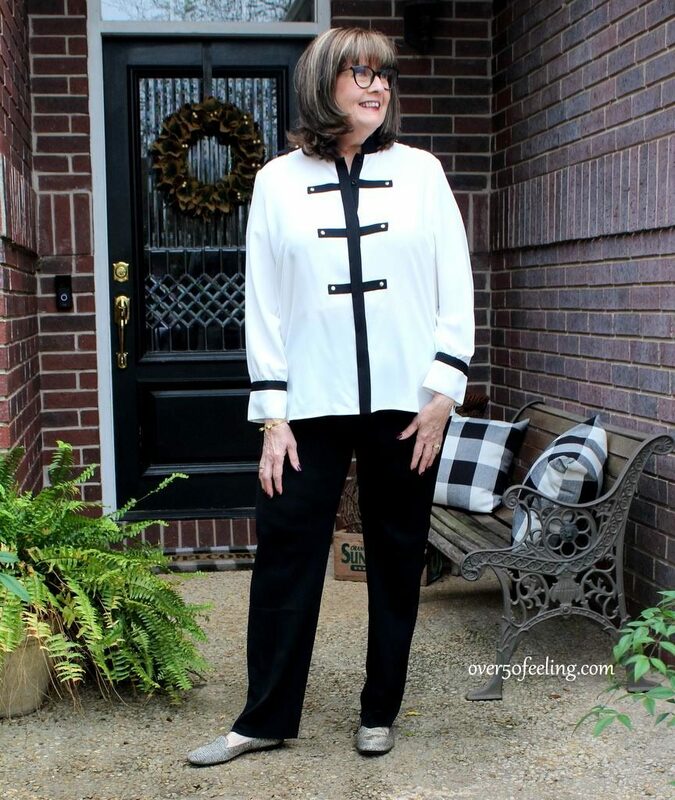 When my sales associate at Dillard’s introduced me to Ming Wang, she told me why she wears the garments most days for her over 60 life, and has built a foundation wardrobe on them….because they last! She said, “Do not even be tempted to take them to the dry cleaners if the label says to wash.” Most of the clothes are meant for your laundry room. I knew I loved the pants and the tank top the minute I tried them on…you will see the tank top tomorrow. I want to keep that joyful love of fashion whenever I retire and dress every day as if that day is super special… because it is when I am still here. I don’t see me becoming a sweat pants around the house kind of girl. I want every time I go out to be an occasion. Wearing top quality, fun designs helps me to do just that. 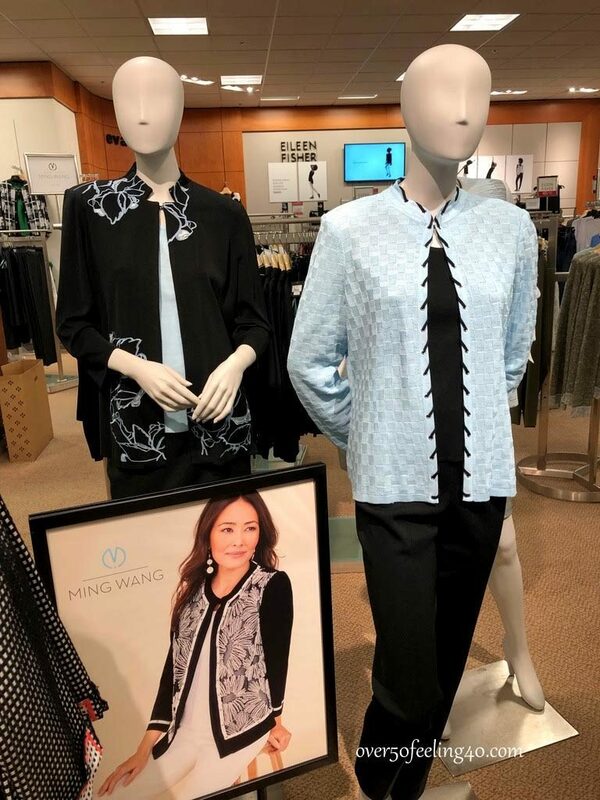 I loved these pieces I found by Ming Wang at Dillard’s in the Shops of La Cantera…they certainly fit what I am looking to have in my wardrobe. I want to get those investment pieces now, and literally wear them for my lifetime. Tomorrow, I am going to show you more from Ming Wang!  I want to encourage everyone moving toward retirement to think about looking your confident best during that time…I truly believe we will enjoy it more that way. I also want to encourage you to build relationships with sales associates. Dillard’s still believes in great customer service, and that serves me well when something is about to go on sale or there is a special promotion on the horizon. I have chosen to pay full price for items I really really wanted, but also found some amazing items on sale as well. If you are in San Antonio, go out to the Shops of La Cantera and make sure you tell the ladies working in Dillard’s that I sent you over! See you tomorrow for more about Ming Wang! Disclaimer: I was provided some product for these posts. The Ming Wang outfit looks fantastic on you! Thanks so much, Louise! I love their clothes! This is best fashion I have seen you wear. Stunning in black and white- a 10! This is a beautiful outfit on you. It doesn’t looks as large of many you wear. I like that maybe you are wearing more form fitting clothes and not hiding under them anymore. I can see you shining in more fitted less baggy clothes and fewer long over jackets. I wear a variety of styles, Dell Ann. I will be discussing body image a little more later on the blog…it does affect many of us with our clothing decisions. Thank you for being encouraging. I love the black and white on you–very very cool! I think it is cool as well! Thanks Susan! Pam – absolutely gorgeous! I LOVE the 1st outfit on you, then I scrolled down and saw the next outfit – the tunic, pants and sandals are PERFECT on you! Your hair is such a pretty color – the white? or is it cream? top looks wonderful! With my white/silver hair – I don’t know – I usually don’t wear that much white on top…but I’m going to go look for that top at Dillard’s and try it on! Love the pants and sandals, too! Thanks for letting us know about this new line! You are so sweet, Shirley. Thank you…this is a great line. Have fun at Dillard’s. I think you look fabulous in both outfits, but the plain white top is really out of this world. You look stunning!! Have you tried IC Collection also available at Dillard’s? It’s my favorite brand for all the things you named for Ming. I like the IC Collection! I have a few of their pieces. Thanks Sandra. Ming Wang Designs suit your style. I can hardly wait to try them in my local store. Also, I have been looking for tunics to wear with all different pant styles. I get too warm in toppers. Have fun trying them on…I really like this collection so much. I have several very light weight toppers and that is what I wear in summer. This may prove lengthy and I apologize for that but this question of retirement dressing and buying quality pieces with longevity in sort of anticipation is a hot spot with me. I will never argue with quality and know that quality is usually reflected in the $$. But believe it or not one’s lifestyle changes after retiring. So those great jackets and tailored pants that you invested in don’t really fit in with most retirees new style. Unless you’re in a more urban sophisticated area or a community abuzz with ‘ladies who lunch’ and have social clubs you’ll probably just get sad everytime you open your closet and see them hanging there. Life is more spontaneous and relaxed–I’m not talking velour jogging sets or washed out stretched out tee shirts, but a lot of women feel that an upper end ath-leisure wear look suits their new style for day in, day out use. The black or navy blazer still get limited use with jeans or slacks once in a while, but overall the more “buttoned down” look is not quite apt anymore. I work part time in a women’s clothing store and it’s a real challenge for women to dress for their new style. More travel, more time with grandkids, maybe taking an art class or two or just puttering around with the plants and garden offer little opportunity to wear the clothes they’ve been accustomed to and have felt comfortable with the image they presented. Changing our perceptions of ourselves along with changing the kind of wardrobe we need is one of the biggest challenges of retirement. So many women come in and after looking around they heave a big sigh and say, “I don’t have any place to wear these things anymore. I used to buy clothes all the time, but now…” Too many really can’t see themselves re-invented. You did a fantastic job of re-invention, but it’s a huge hurdle to get over. Quality shows, quality lasts, but as one nears retirement it’s wise to keep in mind that lifestyle changes. When I first retired I thought I’d be bored quite quickly, but several people told me that everybody that they knew who was retired was busier than they’d ever been. And it’s been that way with me. I love it and wouldn’t change a thing, but I know my former style is incompatible with my new way of life and I gladly embrace that. I love reading your blog and advice and wish that more ladies felt so comfortable with re-invention. Hey Carol… thanks for expressing your side of retirement. It is difficult to know what my side will look like, but I do live in an urban area and plan to remain active with many things I do. While I may not need as many quality clothes, I will need some and want to make sure the ones I have now will withstand time. These are clothes I believe I will wear often. Yes, re-invention was empowering and gave me a love of life and a desire to look and feel my best through it. Thanks for joining in. Carol, You really nailed it with your comments on retirement. I have been retired for awhile and I do not buy any clothes that resemble what I used to wear. I do live in a rural environment which does make a huge difference. If we dress up, it is for a wedding or other special occasions. My husband and I travel a little, so most of the new clothes I do buy are those that pack well. I don’t own any of my work clothes any more. I was in management at a hospital so had a lot of blazers, dress pants, etc. When I go shopping I see things that I would have bought five years ago but no longer apply to my current life style. 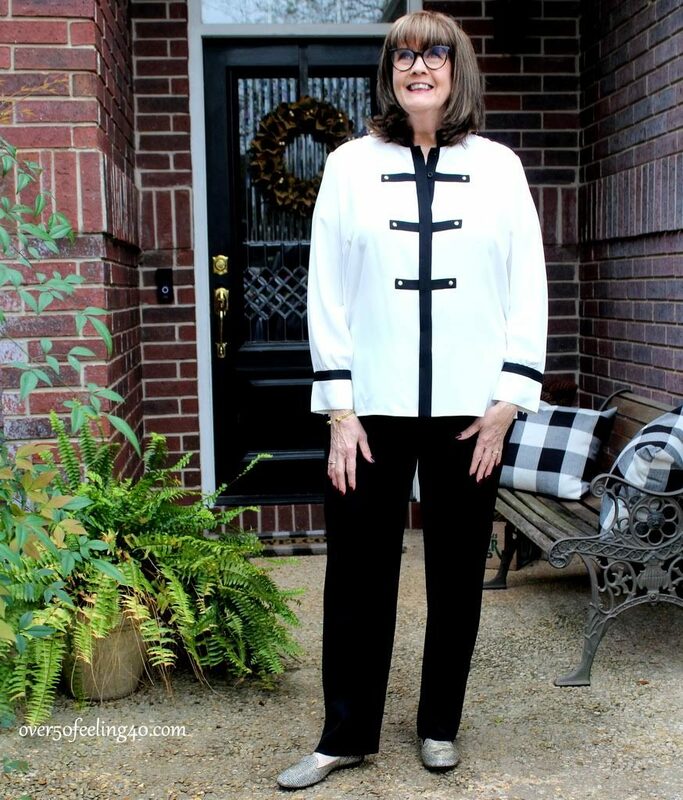 I agree 100%.I have made the mistake of buying clothes for business attire well after I retired.I have learned I have a much more relaxed life style and still enjoy shopping to support this new phase. That’s why I am so excited about this line…Casual chic going forward! Thanks Sally! So beautiful! Love black and white, navy and white, even grey and white….so clean and classy. Thanks for these refreshingly pretty looks. You look gorgeous…. You look stunning in both outfits. Thank you for showcasing this designer. I am positive you will find the summer outfits you are looking for – with this designer !! Thanks Eleni. I am excited to have these new looks in my wardrobe for springtime fun. These are gorgeous styles, and I like the polished, yet casual look. I recently retired, and have purged some things, but certainly kept a lot. I read Carol’s comment with great interest and what she said is certainly true. My lifestyle changed for certain. After 46 years in the buttoned up (yes, strident) atmospheres of formal offices, things necessarily changed for me. Add to that living in a smallish town in Ohio, and I’m finding a lot of my nice things languishing! I do wear blazers with jeans, I also still love to dress up, but it’s just not my day-to-day anymore. Actually, I spend several hours every day at the gym and often run errands after, so I am trying to wear more polished athleisure things when that’s on the agenda. 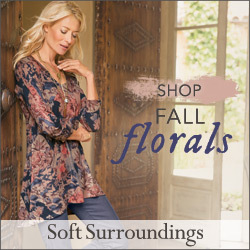 At home, it’s often a nice tunic top or a white shirt and nice jeans or leggings. Like Carol, not messy, but much more relaxed. This said, I’m still trying to find my way. I plan to start volunteer work in the spring, and already they asked me to come back to work per diem (not ready!!) So life has changed, and believe me, I planned for the whole year prior! Like you Pam, and many others, I plan to look my best every day that I’m given. Life is truly short. Retirement is a big change, but I’m being nice to myself and allowing for that. Staying active and social is as important to me as what I’m wearing, because I’ve seen what happens when those things are neglected. 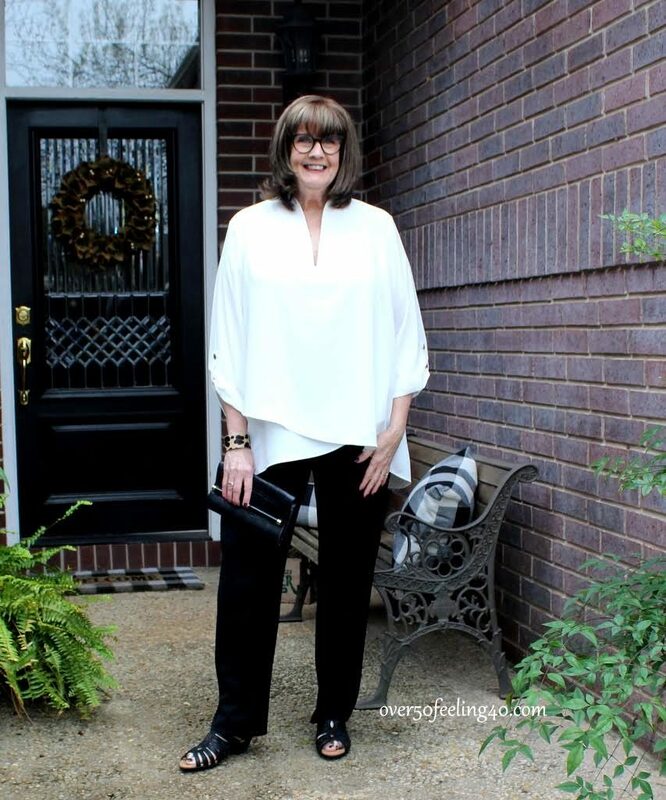 The pieces you feature here definitely fit into how I’m trying to dress in retirement! Beautiful stuff. I’ll have to look for it. It’s a new brand for me, so thanks for the introduction! I’ve been retired a few years now, and it’s too easy to slip into “sloppy” mode. LOL. That is what I fear the most Kay and i do not want to ever let that happen. So whenever I retire I will be watching to make sure I don’t slip! Thanks so much. I love the white top with the black accents. There was a blue & white striped sweater in you slide show that was definitely something that would fit my lifestyle. I will add my thoughts on the retirement issue. I have been retired for nine years. I worked in the banking industry, so some of my clothes were too corporate for my new life. Those were donated to Dress for Success. Many of the basics I kept. I have found a good pair of black pants is appropriate for most any occasion. I don’t always want to wear jeans although they do make up a good portion of my wardrobe. I am not a fan of ath-leisure wear outside of the gym or other exercising venues. When I am out running errands, shopping or just eating at a casual venue, I will likely be wearing jeans & tops that vary with the season. Sometimes I wear a simple t-shirt or button front blouse, or I might wear a sleeveless shell & cardigan or blazer. I wear clothes that are comfortable & make me happy. I try very hard not to fall into that sloppy mode at home because I don’t feel very happy with myself when I do. I love jeans, Becky and I look forward in retirement to wearing them more often. It is so easy to dress up denim if we need to. I love you in the tunic you scored on sale at Dillard’s. The whole outfit is great. I appreciate all your enthusiasm for fashion and life in general. Your blog is a bright spot in my day! Thank you Stormy! You just made my day…I was so excited when I saw this top on sale! I love it. I think you look amazing in tailored styles Pam! That first look rocks!! Thanks Lisa…I am so glad to have it in my wardrobe!